TEHRAN – Iranian President Mahmoud Ahmadinejad has said that the promotion of regional integration among members of the Shanghai Cooperation Organization (SCO) would help create a “new world order”. 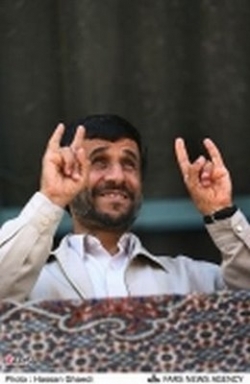 Ahmadinejad made the remarks during a speech at the SCO summit in Beijing on Thursday. “We all want to change the world to a better and lovelier one,” he said, adding that “inefficient and discriminatory system,” which is dominating the globe, has led the world to face economic crises. He went on to say that the economic crises will lead to social and political crises. Ahmadinejad, at the head of a high-ranking delegation, arrived in China on Tuesday evening to attend the SCO summit meeting, which opened on Wednesday and closed on Thursday. The SCO is an intergovernmental security organization that was founded in 2001 in Shanghai by the leaders of China, Kazakhstan, Kyrgyzstan, Russia, Tajikistan, and Uzbekistan. Iran, India, Mongolia, and Pakistan are observer states of the organization. Saudi Arabia has recalled its ambassador from Damascus for consultations, King Abdullah has said, in a statement calling on Syria’s leaders to “stop the killing machine”. More than 250 Syrian tanks and armoured vehicles laid waste to the country’s biggest eastern city, as the regime began a fresh offensive to crush dissent that left scores of people dead and raised fresh fears of civil war. Impervious to international condemnation, even as the Arab League spoke out for the first time, Mr Assad’s regime widened its Ramadan offensive against the increasingly emboldened protest movement seeking to overthrow him. Activists said that at least 41 people were killed in Deir al-Zor, Syria’s oil capital, after a vast column of tanks and armoured vehicles advanced on the city from four directions before dawn. A further 19 people were killed in western Syria after tanks shelled the town of Hula in Homs province, bringing yesterday’s death toll to at least 62. The US envoy to Damascus, Robert Ford, who returned to Syria on Thursday, also said in a US television interview on Sunday that Washington will “try to ratchet up the pressure” on President Bashar al-Assad’s regime. The Saudi king’s statement came the day after the Gulf Cooperation Council urged Syria to “end the bloodshed” as the international pressure mounts. In taking on Deir al-Zor, one of Syria’s most restive cities, Mr Assad is raising the stakes in his battle against the five-month insurrection. Far more so than in the more cosmopolitan region of the west, Deir al-Zor is populated by armed tribesmen who, in an ironic turn, were provided with weapons by the state to counter the perceived separatist threat posed by Kurds in neighbouring areas. The inhabitants of the city have already been prepared to use their weapons, fighting back against regime forces last week after five protesters were killed. Although it was unclear how much resistance Mr Assad’s forces encountered yesterday, the threat of a bloody confrontation that could spiral out of control prompted an unprecedented intervention by the Arab League. Largely silent until now, the group demanded an immediate end “to acts of violence and campaigns by the security forces against civilians” in Deir al-Zor and in Hama, where more than 100 people were killed last week at the beginning of the Ramadan offensive. An Arab League appeal for international intervention in Libya laid the ground for Nato’s bombing campaign against Col Muammar Gaddafi, but the movement has been reticent about criticising Mr Assad, a much more important power broker in the region. Although the Arab League specifically called on the West to stay out of Syria’s domestic affairs, its criticism will increase pressure on Mr Assad, who is likely to have interpreted earlier silence as tacit validation or indifference to his brutal suppression of the uprising. Turkey, which has invested considerable diplomatic capital in recent years in improving once strained ties with Syria, also stepped up its criticism of Mr Assad, warning that Ankara has “run out patience” with his regime. Ahmet Davutoglu, Turkey’s foreign minister, arrives in Damascus to deliver that message on Tuesday. Syrian officials said he would receive a brusque response. International and regional alarm is growing not just because of fears of a bloodbath in Deir al-Zor, or over the mounting death toll in Syria as a whole, which is believed to stand at more than 2,000 since the protests began in mid-March. On the fringes of the uprising, which has remained largely peaceful, there is growing evidence of an armed insurgency being waged by disparate groups, some with an Islamist bent. Opposition activists admitted that one such militia, believed to consist of Syrian fighters who were involved in the insurgency against US forces in Iraq, carried out an ambush on Syrian troops in Hama last week, killing several soldiers. As the civilian death toll mounts, fears are growing that bereaved and desperate members of the opposition will be drawn to these groups’ violent creed. With anger among the Sunni Arab majority, which dominates the protest movement, growing towards Mr Assad’s privileged Alawite Shia minority, there are also concerns that violence could take on a sectarian hue. But Mr Assad brushed off international criticism as he vowed to press ahead with his assault on Deir el-Zor. “To deal with outlaws who cut off roads, seal towns and terrorise residents is a duty of the state, which must defend security and protect the lives of civilians,” he said yesterday. In Deir el-Zor itself, streets were deserted as the echo of tank shells and automatic gunfire echoed through the city, which had been besieged for nine days before the assault began. The suburb of al-Jura bore the brunt of the violence, with at least 20 people killed, according to the opposition. Residents of the city spoke of snipers on the rooftops of hotels and other buildings, picking off any civilians that dared to venture outside. In its latest overture to the protesters, the Syrian government yesterday promised to hold “free and transparent” parliamentary elections before the end of the year — an offer that was unlikely to placate the opposition, which says it has lost complete confidence in Mr Assad to implement any meaningful reforms. “Voices are going to be released that we don’t like and we don’t like hearing,” she said. The U.S. needs support from the Arab League and the African Union to halt the burgeoning civil war in Libya, former Secretary of State Madeleine Albright said today in New York. Both Albright, who became the first woman to lead the State Department when she was named to the post in 1997 by President Bill Clinton, and Condoleezza Rice, who served in the same role during President George W. Bush’s administration, said the region’s turmoil is likely to unleash voices Americans don’t want to hear. “What you have in Libya is a place that is run by a nut,” Albright told guests at the Women in the World conference organized by Newsweek Editor-in-Chief Tina Brown. The matter is further complicated because intervening in Libya would mean “the U.S. taking on one more Muslim country,” Albright said. Rebellions in Tunisia and Egypt toppled governments in those counties in the past two months, and protests have spread to Yemen, Bahrain, Saudi Arabia and Libya. 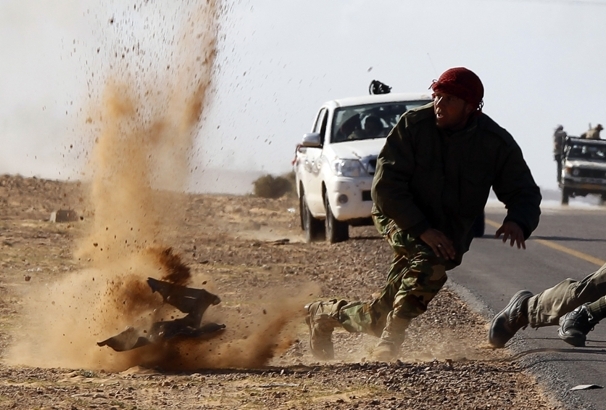 Fighting raged around Zawiyah and Ras Lanuf, Libya, today, the latter a key location because of its tanker terminal, storage depot and the country’s largest oil refinery, said Abdel Hafiz Ghoga, a spokesman for the opposition’s transitional national council. It wasn’t clear whether Qaddafi loyalists, who took control of the city’s center yesterday, were able to hold their gains. Ghoga said Qaddafi is engaged in “a desperate attempt to get his hands on the oil,” and urged foreign powers to impose a no- fly zone to limit Qaddafi’s military options. Uprisings in the region may not initially produce results the U.S. would like to see as Arab countries evaluate the role Islam will play in politics, society and individual rights, Rice said. Both former diplomats said a no-fly zone over Libya is a policy option that requires careful consideration. “No-fly zones are no small matter,” Rice said. “We flew a no-fly zone over Iraq for 12 years and almost every time we flew, he shot at our planes,” she said of the late Iraqi dictator Saddam Hussein. 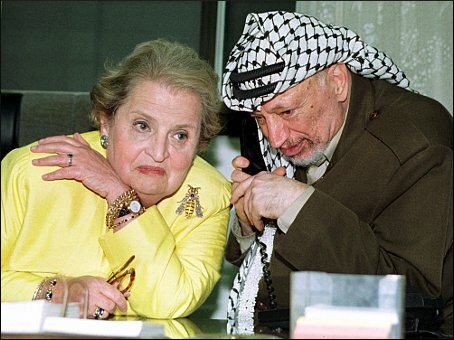 Before serving as secretary of state, Albright, 73, was the U.S. permanent representative to the United Nations and taught at Georgetown University’s School of Foreign Service, where she was director of the Women in Foreign Service Program. Albright had no real female role models as a young woman pursuing a foreign policy career, she said in a 2008 interview with the Wall Street Journal. Rice served as national security adviser to Bush from 2001 to 2005. Before joining the administration, she was a professor of political science at Stanford University in Palo Alto, California, where she served as provost. She returned to Stanford after her tenure in Washington and is now a fellow at the university’s Hoover Institution. U.S. Secretary of State Hillary Clinton said yesterday she will go to Egypt and Tunisia next week and will meet with members of the Libyan opposition. A new world order is going to emerge from the Middle East and North Africa through the efforts of the existing regional powers and the future generation of Arab governments, a senior Hezbollah official says. 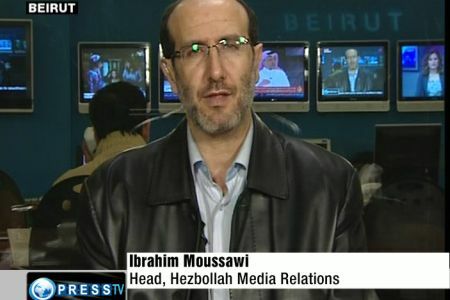 “I believe a new regional world order is going to emerge and this is going to represent the will and determination of the people of the region, not the pro-American governments,” said the Director of Hezbollah’s Media Relations, Ibrahim Moussawi, in a Press TV interview. The future is going to fulfill “all the historical wishes and hopes of the people in the region, he pointed out. “There are very important and strong powers in the region, if we take Iran, Turkey and the future Arab world … who reflect the general interests of the people in the region,” Moussawi argued. “This is going to make the future of the region and we should do everything possible to support it,” he added. 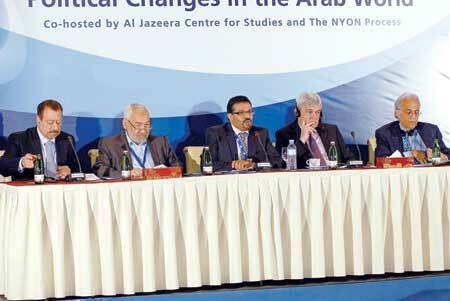 In recent weeks, pro-democracy movements have been spreading across the Arab countries. Last month in Tunisia, nationwide outrage at the government’s suppressive policies sparked a massive revolution that ended the 23-year-long rule of its despotic President Zine El Abidine Ben Ali and forced him to flee to Saudi Arabia. On February 11, millions-strong nationwide revolution in Egypt, which started on January 25, ended the three-decade-long rule of US-backed dictator Hosni Mubarak. Other pro-democracy uprisings have also flourished in Libya, Bahrain, Yemen, Algeria, Jordan and Oman, as more Arab countries are expected to stage similar popular revolts. Iraq has unveiled plans for the creation of a regional economic and security union for the Middle East explicitly modelled on the European Union. Official government spokesman Ali al-Dabbagh announced the proposal on Tuesday (9 December) in Washington at the Institute of Peace, a US government-linked think-tank, saying that talks on the plan with the country’s neighbours were already underway. Mr al-Dabbagh said there was “great interest” in the project, according to AFP. Informal discussions on “Regional Economic Partnership” have reportedly been launched with Kuwait, Syria and Turkey, though not yet Iran. The aim would also to be to bring on board Jordan and Saudi Arabia and – in a subsequent phase – the Gulf states of Bahrain, Oman, Qatar, and the United Arab Emirates, but not Israel. The proposed bloc would look to lower trade barriers and develop joint economic projects, as well as sharing water resources and electricity. Resolving border disputes and common perspectives on combating militant extremism would also be on the agenda. Iraq’s plan, a”vision” of Mr al-Dabbagh’s government, would also aim to improve oil and gas transit and construct roads between the Persian Gulf and the Mediterranean. “The new Iraq could convert the region into the EU model,” the UK’s Daily Telegraph quotes the Iraqi official as saying at the meeting. “Iraq is going to play a major stabilising factor,” he added. Iraq sees a “necessity for regional security and economic co-operation,” Mr al-Dabbagh said. The proposal is the latest in a long line of regional groupings modelled on the European Union. The African Union, a confederation of 53 African states was established in 2002, growing out of the earlier Organisation of African Unity. The grouping is still at the very earliest stages of approaching anything like the EU’s level of joint governance and integration. The Union of South American Nations, or Unasur (Unasol in Portuguese and Unasul in Dutch) is an intergovernmental union founded in May this year and integrates two existing customs unions: Mercosur and the Andean Community. It too is still undergoing its birth pangs.